The sequel, Indiana Jones and the Temple of Doom, was another thrill ride. 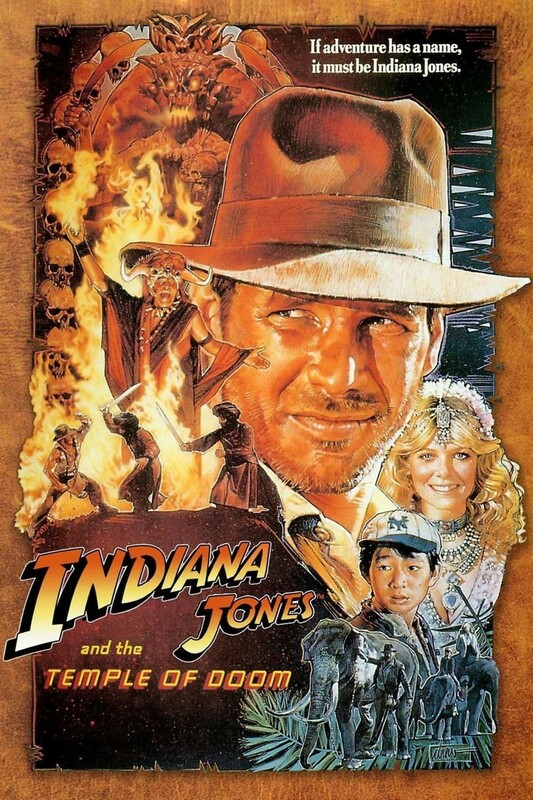 Set before the original, Indy finds himself entangled in the kidnapping of young boys and the retrieval of a precious gemstone. This time his companions are smart-alecky Short Round and a nightclub singer. With some great references to the original film, this film is chock full of the most exciting set pieces ever captured on film. Spielberg has expressed his unhappiness with the film, saying it’s darker than he’d prefer. It’s also one of the major influences on the creation of the PG-13 rating.